Summer is here! Of course, summer will not be complete without your favorite halo-halo or fave drink perfectly chilled by Fujidenzo's Refrigeration Appliances: The All-in-One Refrigerators, Wine Coolers, Showcase Chillers, and the 2-in-1 Dual Function Freezers (Freezer and Chiller in One). No space on your fridge for your favorite chilled drinks? Or maybe you have no space for two separate appliances - freezer and chiller? 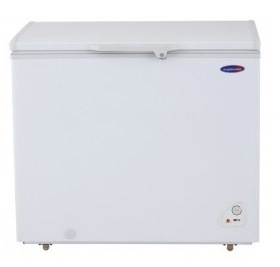 Why not get a Fujidenzo Dual Function Freezer- a freezer and chiller in one! Whether you are a first time buyer or a someone who regularly updates the style of their kitchen, 2-in-1 Dual Function Freezer ideal for not only saving space in your kitchen, but buying it is generally cheaper than buying a separate freezer and chiller model. Also, it's practically the perfect cooling appliance to store veggies and meat like fish, chicken and beef. Freezing is one of the most convenient and least time-consuming methods of food preservation. The extreme cold temperature stops the growth of microorganisms and slows down chemical changes that affect quality or cause food to spoil. No matter how many years food is frozen or chilled, it's perfectly safe to eat. However, its quality largely depends on freezer savvy so it's best to get the big chill. And by that, I mean a high quality dual function freezer/chiller. Fujidenzo appliances promise “Quality above all,” assuring a high level of quality control in the products’ manufacturing process. So for any appliances especially freezer and chiller, go for Fujidenzo! 1. Dual Function Packed with innovative features and outstanding storage solution, it is also dual function. However, when we say dual function, what does it mean? It means it can be used as a freezer or as chiller. Use it as freezer to store meat, fish and ice cream, or as chiller for your favorite beverages. 2. 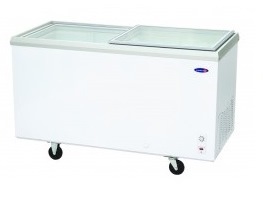 Durable design Fujidenzo promises high quality freezer and chiller with minimal upfront cost. 3. Trusted brand by major businesses like ARCE, Bounty Fresh and King Sue. It is unique as it makes professional functionality used by local businesses. In addition to the convenience of rapid drinks chilling, the core benefit of freezing and chilling lies in the speed of its advanced cooling system and in the quality of the food preservation. Food shelf life is extended compared to traditional chilling or freezing, and the preservation of nutritional value, textures, flavors and aromas is improved dramatically. 4. Fujidenzo has 100 service centers nationwide. 5. Fujidenzo freezers have 2 years warranty on parts and 5 years warranty on compressor. 22 cu.ft. 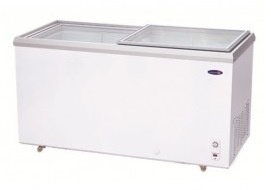 Chest Freezer/Chiller (Dual Function) Check this link for a detailed product information. FC-18 ADF 18 cu.ft. 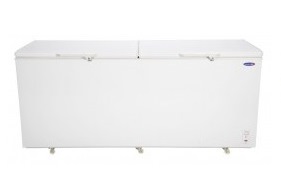 Chest Freezer/Chiller (Dual Function) Check this link for a detailed product information. FC-13 ADF 13 cu.ft. 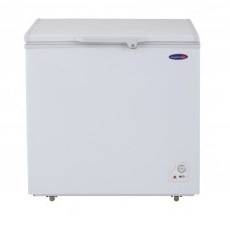 Chest Freezer/Chiller (Dual Function) Check this link for a detailed product information. 6 cu.ft Chest Freezer/Chiller (Dual Function) Check this link for a detailed product information. 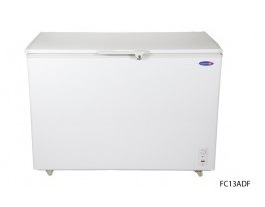 FC-08 ADF 8 cu.ft Chest Freezer/Chiller (Dual Function) Check this link for a detailed product information. 4 cu. 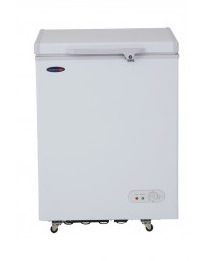 ft Chest Freezer/Chiller Check this link for a detailed product information. Check this link for a detailed product info. FD-22 ADF 22 cu. ft. 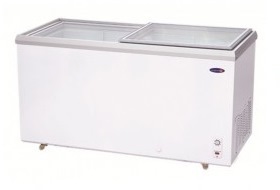 Sliding glass top Freezer (Dual Function) Check this link for a detailed product information. Plan on the exact location where you would like to place your freezer. Check the available horizontal and vertical space. Determine the food items that you're going to store in your freezer. Decide on a specific size of dual function freezer/chiller that you need for your home or business. Allot some time for maintenance and care. Make sure the freezer has high energy efficiency and will economically reduce utility bills. A dual function freezer/chiller with a good energy rating will definitely save you electricity and money on your electric bills. No worries tlga kpag Fujidenzo ang gamit mo, sure ang quality, simply the best! I'm planning to buy the 4 cu.ft model (recommended by my sorority sis who's running a meat business). Thanks for this review! hmm so far, ok nmn tlaga ang brand na fujidenzo since before. This brand is cheap yet the quality is outstanding. The best talaga tong brand na to! Never failed to impress me. may possibly troublesome changes close to the internal cells. who is priced otherwise losing sight of which will accessory Area component increases the pace linked food cooking. sir itatanung ko lang po sana bakit ayaw po magbukas yung cover. fujidenzo din po ang brand ng freezer namin FC-13ADF ang model. ayaw po talaga mag bukas. the match-eternity Warriors 3 hack game and take in an early lunch. I bought the 20cuft chest freezer less than 2 months ago. It stopped working. Spoiled about a month's worth of food. Technicians came next day. Took out a part. 2 days later, no word. My mom follwed up. The service people said it will take 5 days to get the part! Am returning this freezer. DON'T BUY THIS!